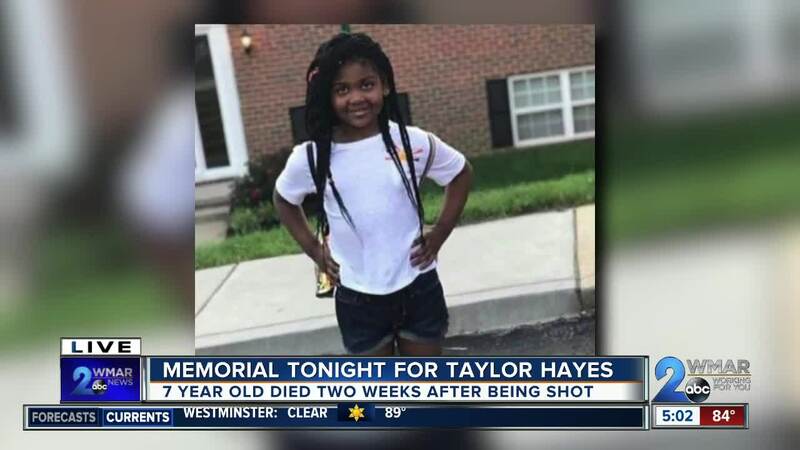 Mourning the loss of a 7-year-old girl, Taylor Hayes was shot while sitting in the backseat of a car in West Baltimore. Taylor was in the hospital for two weeks and on Thursday we learned she died from her injuries. Baltimore Police haven't released an update on the search for the person who shot and killed her, but they hope to have more on the case at some point on Friday. News of Taylor's death has hit the community hard and on Friday night people are coming together to remember her and honor her life. Over the past two weeks, Taylor has been in the hearts and minds of many people in the community, everyone holding onto hope that she would pull through. "The pictures made you cry. 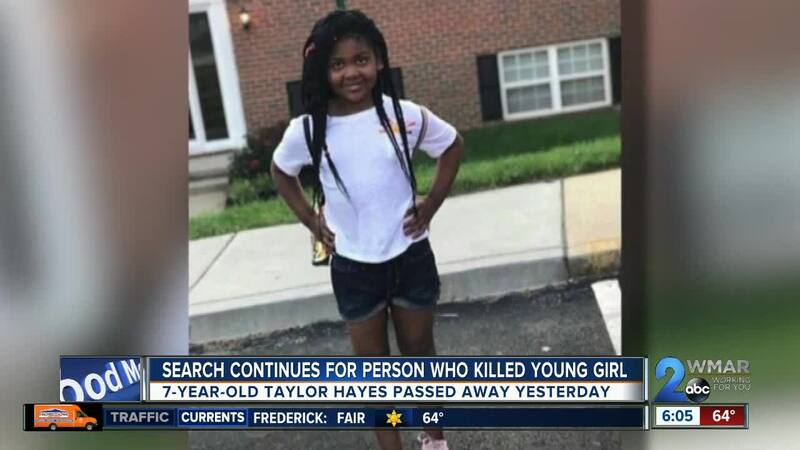 You can see how happy the little girl was, she looks well cared for and I am crazy about her uncle that I've never met, but after the tragedy is over, if they put the signs up, I will be at the funeral," said Edmondson Village resident Doreatha Chapman. The memorial will happen at 6:30 p.m. not too far from where Taylor was shot. Organizers are asking people to wear purple and white in her honor.